Ahead of Theresa May and Government triggering Article 50 on 29th March, a survey by The Engineer in collaboration with Subcon 2017 has revealed a marked increase in the number of manufacturing and engineering companies who believe Brexit will be good for business and industry. When asked if they think their company will have a stronger future once Britain exits the EU, 40 per cent of the 269 businesses polled answered yes compared to 14 per cent 11 months ago. The level of uncertainty has doubled, however, with 14 per cent of businesses unsure what impact leaving the EU will have compared to 7 per cent in 2016. The survey also asked if businesses think UK manufacturing and engineering – as a whole – will have a stronger future once Britain is no longer part of the EU. 45 per cent answered yes, compared to 30 per cent last year – an increase of 50 per cent. A new question for 2017 asked if business and industry will suffer if Brexit impacts free movement of labour and responses were split down the middle: 46 per cent believe it will have an impact; 47 per cent believe it will make no difference. Gordon Kirk, Event Director, Subcon, commented: “It’s encouraging to hear that industry is feeling confident and positive about the future and our poll certainly supports that in relation to Brexit. 2016: Do you think Britain should leave or remain in the EU? 2016: Do you think your company will have a stronger future if Britain leaves the EU? 2017: Do you think your company will have a stronger future now that Britain is leaving the European Union? 2017: Has your opinion changed in the last 12 months? 2016: Do you think the UK manufacturing/engineering industry will have a stronger future if Britain leaves in the EU? 2017: Do you think the UK manufacturing/engineering industry will have a stronger future now that Britain is leaving the European Union? 2017: Do you think your business/industry will suffer if Brexit impacts free movement of labour? 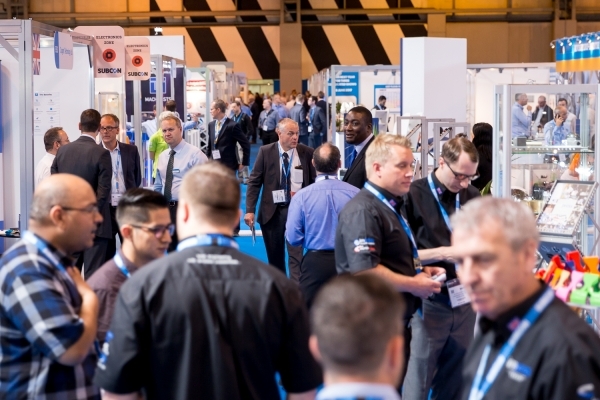 The Subcon show takes place at The NEC in Birmingham on 6th to 8th June.